What a spectacular summer we are experiencing on the Saanich Peninsula. Its hard to remember a day without sunshine. Not to wish away summer, but some of us are almost wishing for a rainy or at least cloudy day to work on our fibre related projects. The DCWS Program Committee has been working over the summer months and have submitted the program for Guild meetings in September and October. Visit the 'events & news' page of this site for a preview of whats coming up at the Guild. We welcome guests to attend and see what we are about prior to joining, so drop by and bring a friend. Our first meeting of the new calendar year is Tuesday, September 15th. 10:00am to noon at the Shoal Centre in Sidney, B.C. The Saanich Fall Fair is on from Sept. 5 - 7th. We have a wonderful room dedicated to needle crafts and fibre arts. A showcase of local talent and evidence we have been working hard at our crafts over the summer months. Demonstrations of our crafts take place in a covered area just outside of the needle crafts building on Saturday & Sunday. 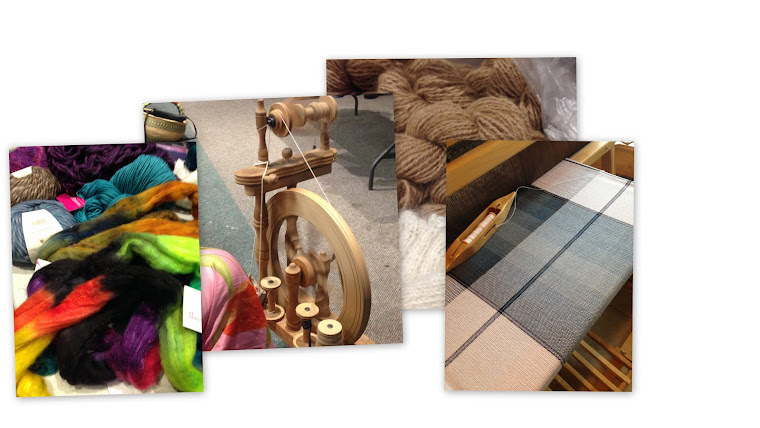 The Deep Cove Weavers and Spinners will be in attendance on Sunday, September 6th. The theme for this years fair is the lovely 'Alpaca'. Spinners, knitters, weavers and all fibre addicts love this beautiful soft fibre. 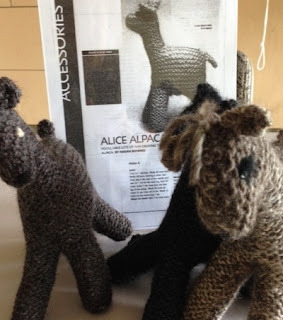 Drop by and meet our herd of knitted 'Alpacas'; see demonstrations of spinning, weaving and other related fibre crafts. Hope to see you at the Fair! !